Facebook is weird but humans are weirder. Time and time again we see all sorts of in-depth studies show the fine lines and little tweaks that can see spikes in engagement rates. From adding specific words, to posting specific forms of posts – these are the little quirks that help you fine tune for your audience. We’ve written about this before, but photo posts will receive more engagement than any other form of post – so make sure to use it. According to statistics from Linchpin SEO, photo posts receive around 39% more interaction that the average sort of post, making them the most formidable in your posting arsenal. Other interesting findings are that posts with a question the end are twice as likely to be interacted with as those have one in the middle. It also showed that fans are around 7 times more likely to share a post if they are asked to do so. All of this has been showcased before, but it’s worth reiterating to point out the importance of incorporating these strategies into your posting. 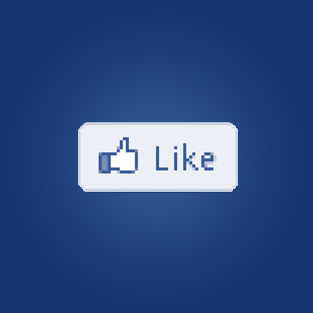 One of the other great ways to gain Likes and engagement is by showing you’re human. Passing on failures, apologies and achievements make a brand seem human and give people the idea that there are faces behind the screen. They essentially make a company more accessible and allow people more of an opportunity to identify with this fact. Posts that showcase real emotions really help and communicate something more to a community. Real time personal statuses or images are a great way of doing this. What people find funny is obviously subjective; however there are some things that the masses will generally laugh at. Adding a tint of humour to posts is a great way to get people onside and receive more likes and shares. Obviously, choose the universal over the controversial, you don’t want to alienate. Posts that contain emoticons are renowned for higher rates of engagement and interaction – 52% more in fact. Even more notable is the fact that different emoticons have different engagement rates. According to Linchpin SEO a 😀 increases interaction by 138% over the average, while a simply, run of the mill smiley face only sees a sorrowful 35% increase. Good timing is everything when it comes to Facebook posts and there are a number of tools like Crowdbooster that will give you the best times for engagement, calculated via your previous posts. However, according to statistics by BuddyMedia, posts are one fifth more likely to be engaged with when posted outside of working hours and weekends offer the best times of all for engagement. So, it seems people are more likely to engage with Facebook in leisure time – makes sense really doesn’t it? Learn more about social media and digital marketing. Speak to one of our experts. Get in touch today!